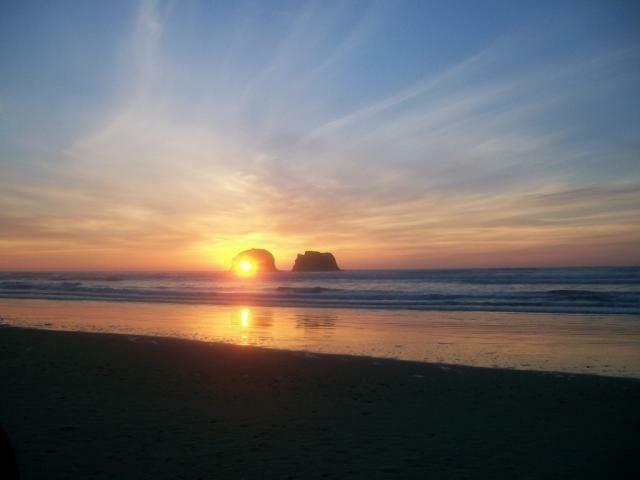 With over 100 vacation rental houses and 300 hotels rooms, Rockaway Beach is ready to be your destination on the magnificent Oregon Coast. There�s a lot to boast about including 7 miles of soft, sandy beach perfect for beachcombing, kite flying, and simply drawing in the ocean air and sounds of miles of sea while you walk along the shore. Ever changing ocean sunsets are a breathtaking back drop for majestic Twin Rocks with crashing waves or a fishing boat on the horizon, heading home for the day. The steam engine train rides are special to this town. 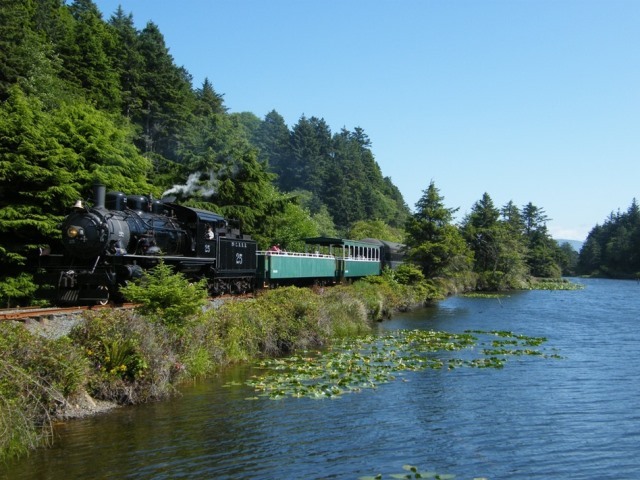 The delightful sounds of the train whistle can be heard on a route that has spectacular views of Tillamook Bay, tide pools and the ocean on its destination to Ocean�s Edge Park. 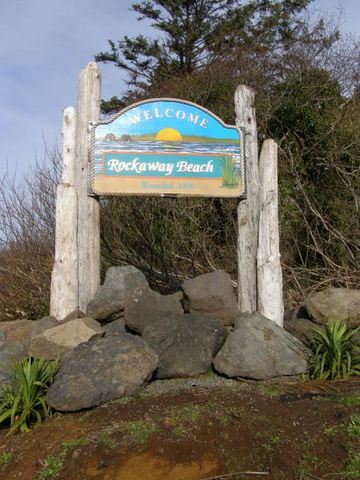 Rockaway Beach draws new and returning visitors for year round annual events that are family favorites. A variety of festivals throughout the year attract visitors for art, crafts, authors, wine, music and even a pirate festival with carnival rides. 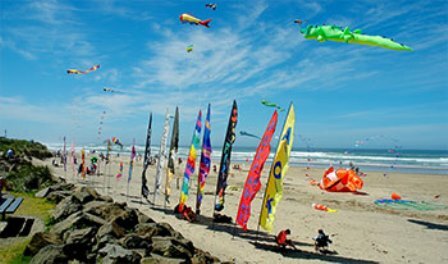 Other popular events at the Ocean�s Edge Park are the annual kite festival in spring and the Christmas tree lighting with carols and an appearance by Santa for the holidays. Walk through an abundance of shops for antiques, treasures old, new, and unique, sweet treats, souvenirs and amusements. Interspersed between the shops are restaurants which cater to all tastes. 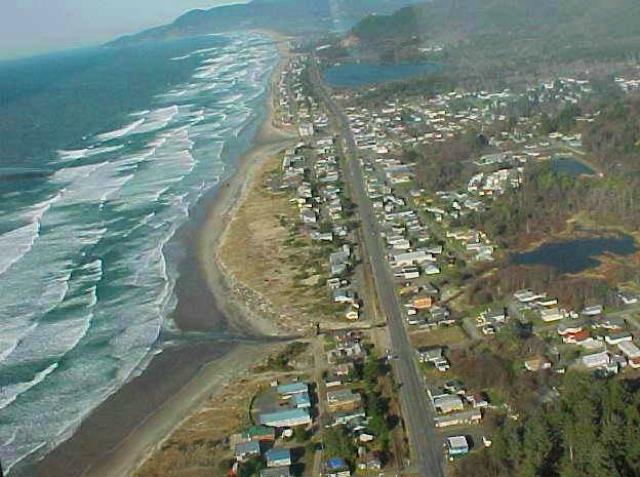 Rockaway Beach is sprinkled with lakes and ponds from north to south for fishing and boating. There are also trails and a nature preserve for hiking among old growth trees.